Made in Italy by Imperia, the Pasta Presto Electric Pasta Maker is an all-in-one pasta machine with a non-stick coating guarantees safe and clean pasta. In only a few minutes, you will be able to stretch the dough from thick to thin with just a turn of a knob to select one of six different thicknesses. Built in cutters for Tagliatelle or Fettuccine. 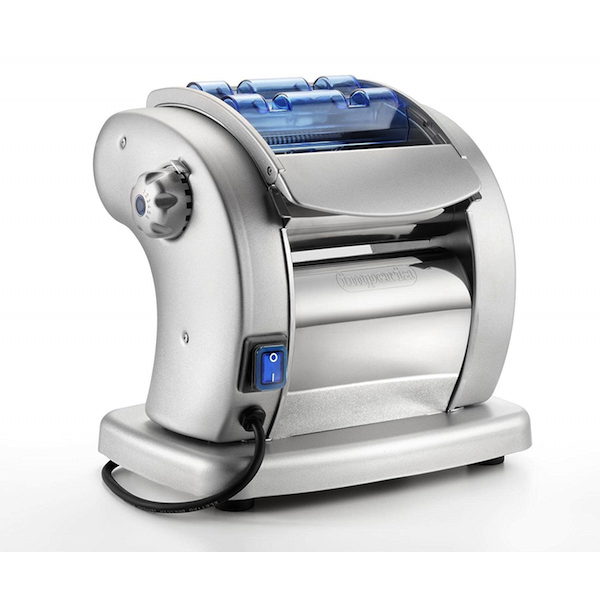 The built-in motor allows you to have your own fresh, homemade pasta Italian style: presto!